Product prices and availability are accurate as of 2019-04-19 02:29:04 UTC and are subject to change. 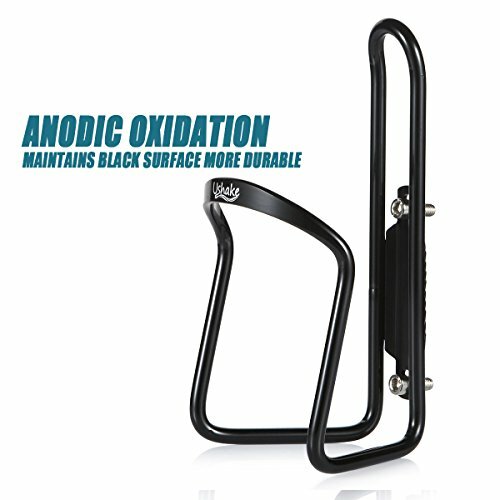 Any price and availability information displayed on http://www.amazon.com/ at the time of purchase will apply to the purchase of this product.
" 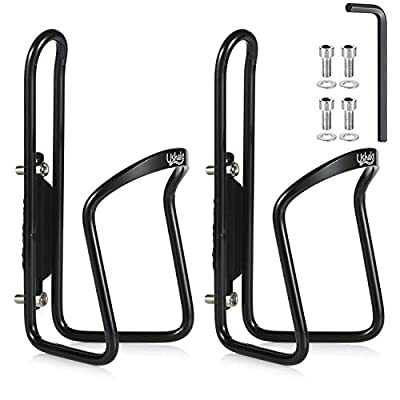 4 X M5 x 12 SCREWS INCLUDED: The screws are standard size for water bottle mounts to most of bikes with DRILLED HOLES, and washers are suggested for tight fixing. 6061-T6 HEAT-TREATED ALUMINIUM ALLOY: High quality material and manufacturing process for extra strength and durability combined with low weight, 2.1 oz (61g) each. 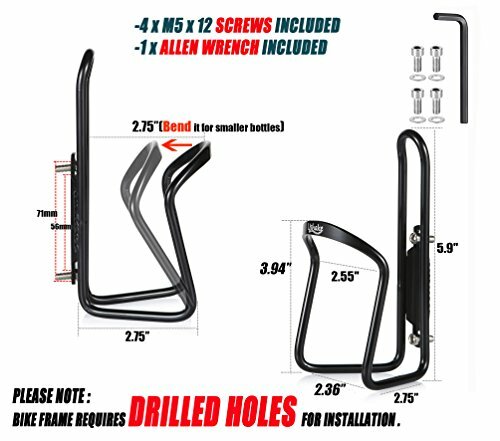 EASY INSTALLATION: Use a 4mm hex key (included) to fasten cages in screw holes on frame. 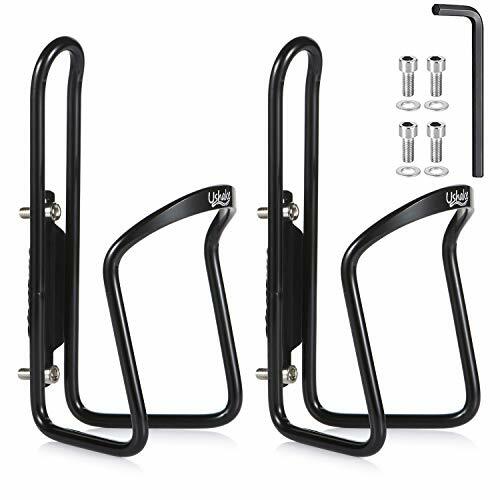 PLEASE NOTE - bike frame requires threaded holes for installation of cages. 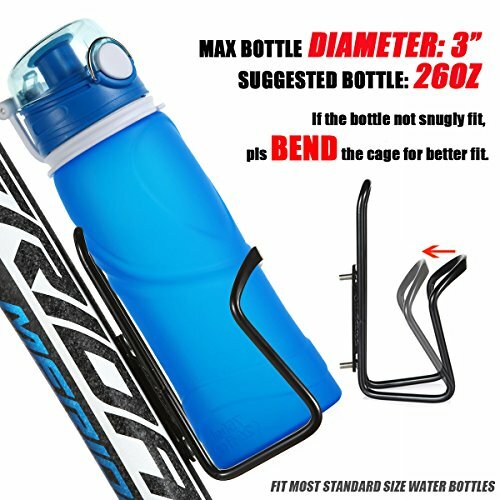 WATER BOTTLES FIT: 26 OZ water bottle can fit snugly; max bottle diameter is 3"(762mm). 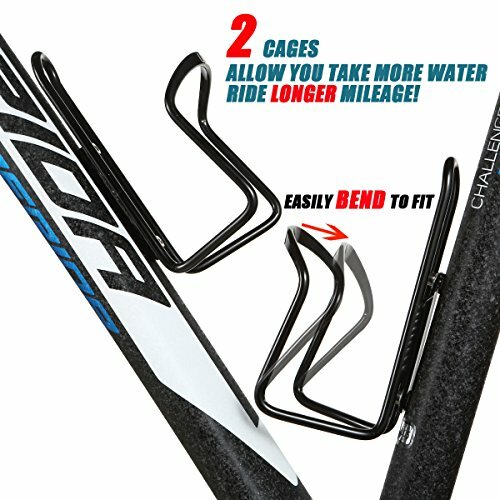 The water bottle cage has arms that wrap around the bottle for a secure and firm hold so you don't have to worry about it falling out during your ride. 10 YEARS WARRANTY: This product is covered by UShake's 10 YEARS Warranty "